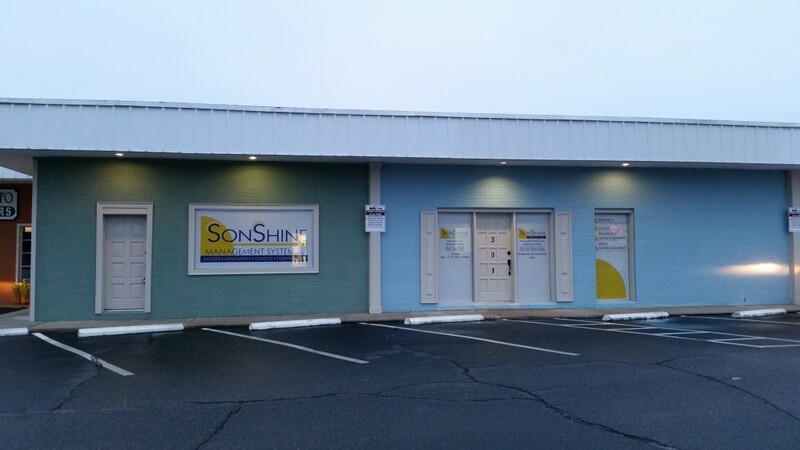 Contact Us - Sonshine Management Systems Inc. Please contact us here at Sonshine by either stopping by, giving us a call or filling out the appropriate form using the info found below. Please use the form below to inquire about becoming a tenant of our rental properties or for general comments and questions. If submitting a maintenance request, please note there is a special Maintenance Request form link under the Contact drop down. We also have a separate form called Proposal Request for inquiring about Sonshine managing your homeowner’s association or rental property. Thanks! NOTE: Please direct all inquiries about becoming a tenant of one of our rental properties or for general comments and questions to our office manager, Aleasha Stanley. NOTE: We are located in Rainbow Square next to Spa Da Vie in the old Betty Stevens Cosmetology space across from Apple Annie’s. Google Maps shown above is from August 2012. See what it looks like now below.